Description: This article presents the members past and present of the Horned Society. It was originally on the WOTC but has been copied here for posterity. Description: Ivid the Undying, by Carl Sargent. Originally offered as a free download by WotC, this version has been compiled by a dedicated fan(William Allman), with added cover and interior margin art in the style of the 2E Greyhawk product era. Description: A map done for Campaign Cartographer 2, based on the map done for Ivid the Undying. FCW for Campaign Cartographer 2. Description: Depicting the Adri Forest and part of the heartlands of Old Aerdy, this map originally appeared in Dragon #208. JPG File. Originally offered free on WotC's site, CanonFire! and GreyhawkOnline are supporting the file for archival and completeness purposes. Description: A map of the Sea Barons and part of Aerdy's eastern coast, originally published in Dragon #206. Description: A map of the Twin Cities area of Aerdy (Rinloru and Winetha), which originally appeared in Dragon #204. 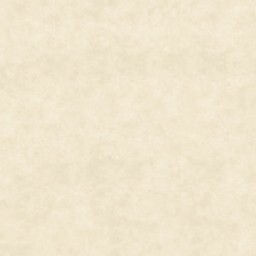 JPG File Originally offered free on WotC's site, CanonFire! and GreyhawkOnline are supporting the file for archival and completeness purposes.